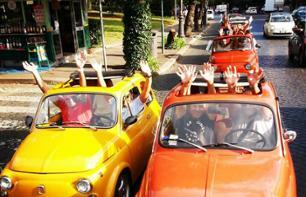 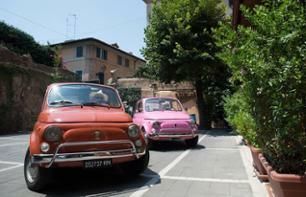 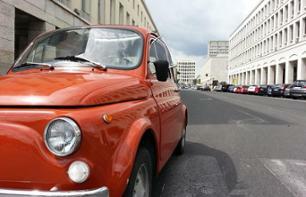 Fiat 500 Tours to see Rome | Book now! 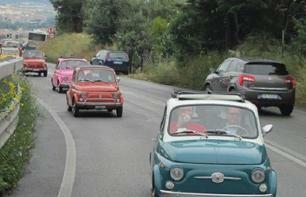 Discover Rome in 3 hours on an original tour in a Fiat 500, passing by the Colosseum, the Arch of Constantine, the Mouth of Truth and the Janiculum Hill, amongst other sites. 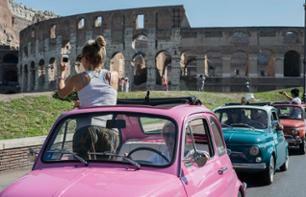 Enjoy the city of Rome at night in an original and colourful little car and admire the city's main monuments, such as the Colosseum!